For the many thousands of people who suffer from chronic or acute episodes of back, the quest to find some suitable form of relief can require research and be costly too, without any guarantee of a reprieve from the pain. There are hundreds of products available all claiming to relieve back pain, some legitimately others not so, and some are effectively purely on a psychological basis. 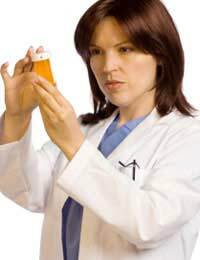 Medications.Obviously the one method that most people rely on to relieve their pain is pain relief. This may be prescribed drugs or over the counter preparations. Products can include non-steroidal anti-inflammatory medications such as paracetamol or ibuprofen. These can both help to relieve pain and work very well at reducing pain caused by injuries such as strains, sprains and other disorders of the musculo-skeletal system.Prescribed drugs are often stronger and have to be used with caution as they can become addictive, have serious side-effects or be dangerous if used with other preparations. Lotions And Gels.Lotions and gels can work well by being using either ice treatments or by generating heat in the area of pain. They often contain medications such as non-steroidal anti-inflammatory products, but can also contain some herbal remedies that can be beneficial at reducing swelling and bruising. Massage can be extremely useful for strains and sprains and also for relieving tensions and anxieties that long term pain can cause. It can be received at home, in a salon, by a physiotherapist or by using a variety of self-administration techniques requiring the use of various equipment pieces such as massage balls, chairs or even exercise balls.Other apparatus that can help relieve pain include the use of back and neck braces, but these will need discussing with your specialist and can only be used for certain conditions for differing lengths of time. Many people benefit from the use of specially shaped pillows and cushions and these can also be useful as a preventative method before back pain occurs. These items are shaped in accordance to the human spine and can help maintain alignment of the body whilst at rest. Other items that can be used either as a treatment or as a preventative measure include the use of lumbar supports. These belts can be worn when lifting is required or heavy manual work is being carried out and are a good way of supporting the spine whilst at work. These techniques can be extremely advantageous for those people who suffer from chronic pain who need to find ways of coping with the pain for a long duration and who don't want to rely heavily on medications or in supplement to existing medicines.Self-help techniques include the use of hypnotherapy, reflexology and learning methods in which the mind can learn to channel pain and overcome it. This group of therapies includes the use of acupuncture, TENS machines, chiropractic therapy and using exercise and Yoga. They can all be very good at helping to relieve the symptoms of the back problem, but will often need complementing with conventional methods at the same time.These methods do not often help to cure the problem, especially if there is an anatomical abnormality which will need medical attention. There is a vast amount of products available for the treatment and prevention of back pain, some more expensive and more reliable than others. Each method may work differently and at a different level of success than another and careful research and discussion with your specialist is recommended before trying new therapies.